There are lots of different opinions about machine translation (MT) within the language industry and in the wider world. Many will argue that MT poses a threat to the services that professional linguists and language service providers (LSPs) currently offer. Others will maintain that it provides the most optimal way to improve one’s productivity, and constitutes a sign of a major upturn in the translation domain. Among all these fervent and conflicting views, there is one thing that remains certain that we can all agree upon – MT is already widely used and it is here to stay. In a 2016 article published on Google Translate’s 10th anniversary, Google reported that there were 500 million users of Google Translate around the world and this number has most certainly grown by then. While it is clear that LSPs absolutely need to embrace MT technology to stay relevant in the market that is constantly evolving, it is important to also focus on the MT users that fall outside of the language industry sensu stricto. In fact, there is a whole blog dedicated to stories of how various people integrate MT into their everyday lives. They are real stories, told by real people. The Machine Translation Stories blog was started by Mary Nurminen, a researcher from the University of Tampere, and an ardent language enthusiast with a long career in languages and multilingual communication. The blog provides a beautifully varied account of how machine translation enables communication, helps to spread the knowledge of MT and even grow one’s personal interests. One of the stories describes a completely non-commercial use of MT. A 77-year-old named Pirkko, who wanted to take her passion for sports to another level and not just watch sports on TV. 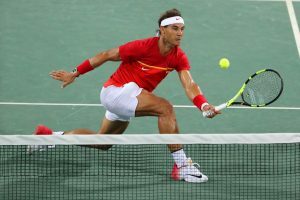 She wanted to learn more about the athletes and decided to use MT to understand the Facebook posts from her favourite sportspersons – tennis player, Rafael Nadal and biathlete, Martin Fourcade. She uses the automated translation provided within Facebook, occasionally complemented with more Google Translate research and a physical dictionary. As a result, the technology has enabled her to access insightful information and keep up-to-date with what her favourite athletes get up to – which otherwise would not be possible for her since she does not speak fluent English. Machine translation “brings openness to [her] world” to quote her own words. The uniqueness of her story lies in the fact that as stated by Pirkko, individuals within her age group tend to be not overly technical and tend not to embrace technology to a very large extent. But she has been using MT for over 10 years and is appreciative of the fact that there is a tool out there that helps those who do not know other languages. Another example is Max’s story. Max is a manager at a large multinational company. Back in 2010, his corporation bought a factory in Brazil, but nobody within his team spoke Portuguese and his colleagues in Brazil did not speak any English. He quickly decided to learn Portuguese to facilitate the acquisition process. But Rome was not built in a day – learning a new language requires time. Max engaged with the machine translation technology with consideration and caution, always asking his colleagues for further clarifications if he was ever in doubt. Using MT also helped him build his vocabulary and improve his skills in Portuguese faster. Throughout his story, he stresses that in order get the best results, applying some critical thinking is essential when working with automated translation output. It would be a mission impossible to list all the contexts in which machine translation is applied or all the type of users who engage with it. However, the emerging trend is that machine translation is being used as a tool for exploration; a tool that helps to grow knowledge by giving access to previously inaccessible resources. To read more stories, visit the Machine Translation Stories blog. If you use machine translation for personal purposes in an interesting way, why not get in touch with the author of the Machine Translation Stories blog and share your story?